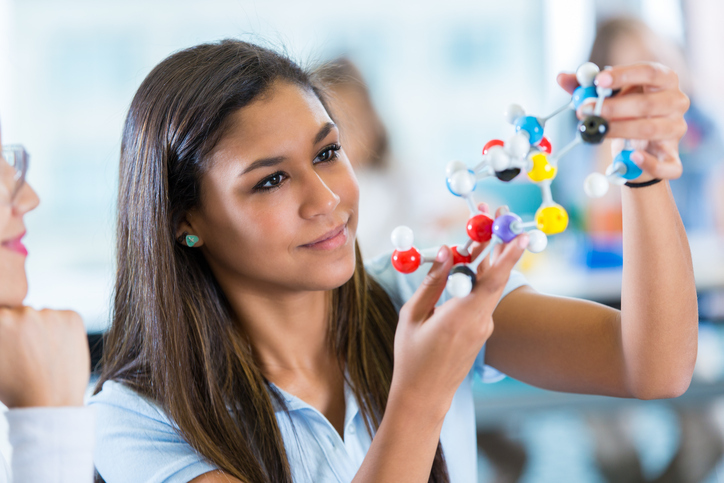 Despite a push to increase interest in STEM careers, many high school students aren’t getting the classes they need to be successful in a STEM major. A recent article from The Hechinger Report examined the disconnect, noting that just 39 percent of high school grads in 2013 took a single physics class. But experts say a familiarity with physics is crucial to success in many college majors related to science, technology, engineering, or math. “Taking the course in high school is strongly correlated with getting a degree in a STEM field,” Mathewson wrote. Learn how some states are seeking to fill the gap. I believe it is a fallacy to teach science in the order that we do. Currently, and for the past decades, it has been biology, chemistry, then physics (if desired in the senior year). It SHOULD be physics, chemistry, then biology. Physics is the base for all science; then chemistry. Once those are understood, then biology is a perfect fit — but without understanding “why” things happen in the body and in nature, one can only memorize names, classifications, and formulas without ‘understanding. The additional advantage of teaching physics in the 9th grade is that it is directly tied to using algebra to solve real life problems. Calculus-based physics can wait until senior year, if desired. Columbia RTeachers’ Colege has researched this extensively and shown that it is the best curriculum.